Magnetism There are 63 products. 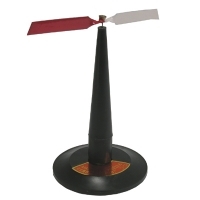 Demonstrate the action of a compass and the earth's magnetic field. Our magnetic needle, 145 mm long, has North marked in red and pivots on a sensitive brass and nylon bearing. 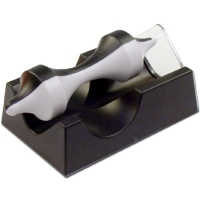 Non-magnetic support is 9.9 cm high with 5.9 cm round base. 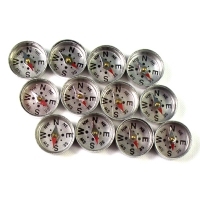 These are excellent for tracing the field of a bar magnet. 16 mm diameter aluminum case with clear plastic top. North marked in red on 10 mm steel needle mounted on brass bearing. Available as pack of 12. 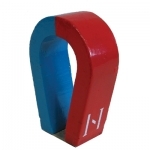 This iron rod is readily magnetized and demagnetized, making it perfect for magnetic demonstrations. 6.25 mm x 10 cm in size. Pack of 10. So named because it's fed to cows to attract and hold metal particles the animal may have swallowed while grazing, this strong magnet has many uses in the classroom. Watch it float in a hollow steel cylinder. 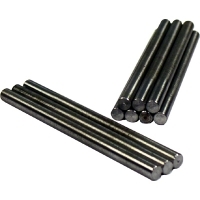 75 mm (3") long x 20 mm (1-3/4") diameter, 100 grams. 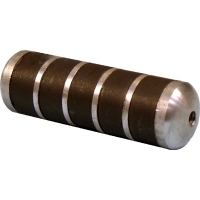 Demonstrate magnet levitation and frictional force with our two-tone device. Black and white sections allow you to measure rotation speed with a stroboscope. 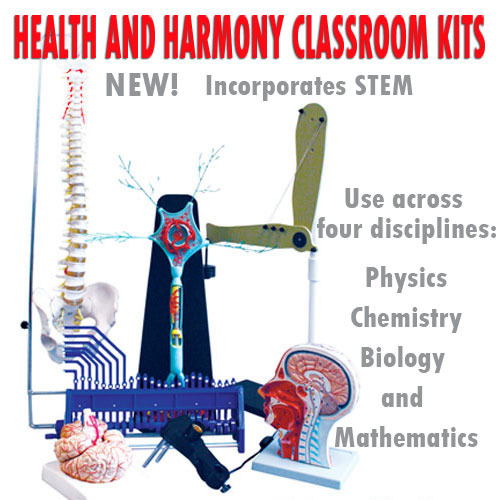 This is a quick, easy setup to teach magnetism, electricity, and magnetic fields. 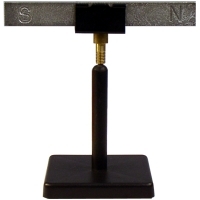 Our sturdy non-magnetic base holds a bar magnet up to 20 mm thick (magnet not included). Use with 615-0010 magnets.